The White Rose Figure Skating Club is a U.S. Figure Skating in York, PA and works to promote the mastery of all disciplines of figure skating. WRFSC supports skaters in competitive and recreational endeavors, and welcomes skaters of all levels. 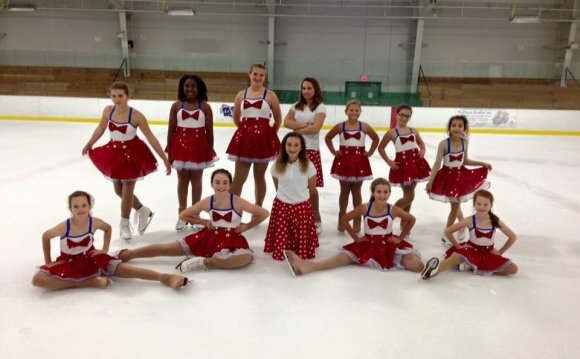 Our Vision is to offer a supportive environment and quality programs, along with a professional coaching staff so our skaters can excel in the sport of Figure Skating. Our commitment is to offer flexible skating times at a reasonable price. We exist because of our members and we are very grateful to our members who have made us what we are today. We now strive to take our organization to the next level so that we can serve our skaters even better and continue to grow our club, and offer even more exciting programs in the future. WRFSC hosts and coordinates U.S. Figure Skating Test Sessions for Moves In the Field, Free Skate, Dance, and Pairs. Test sessions are held periodically throughout the year. Since our inception we have hosted two South Atlantic Regional Figure Skating Championships (2002 and 2008). WRFSC was proud to host the 2013 State Games of America U.S. Figure Skating Championships, which attracted over 1000 skaters from across the nation. The club hosted the 2015 Keystone State Games Pennsylvania Skating Championships in early February and the White Rose Invitational again in June. The club will host three competitions in 2016!